Brand New! So thick we couldn't put it in a pump bottle. Quite possibly the most effective, moisturizing post shave product on the market. Try it and see for yourself. Savon de Bastille Bath Soap is now back in stock. 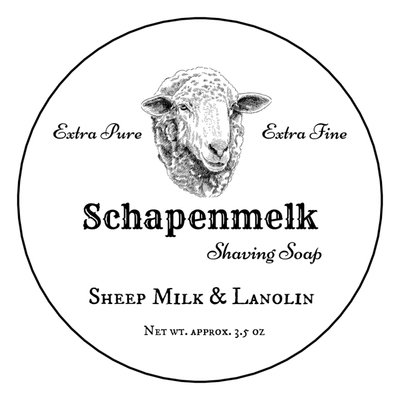 Schapenmelk Shaving Soap has also been added to our inventory. (03-22-2019, 08:36 AM)ColdRiverSoap Wrote: Savon de Bastille Bath Soap is now back in stock. The Shapenmelk shave soap is excellent. Easy to lather even in my very hard water. Glad to hear you are happy with it, thank you! 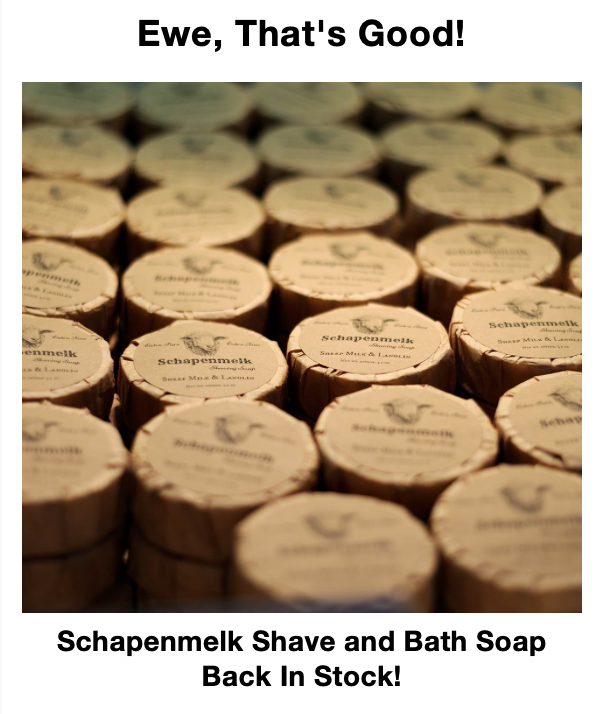 Schapenmelk Shaving Soap is back in stock! That's good news Larry. I ordered a backup, as this soap is excellent. Now I need some of the matching bath soaps, which are also excellent. The following GLIDE Shaving Cream Soaps are now back in stock! I just went to the CRSW site and the Schapenmelk is still showing as sold out. Did it really sell out in 12 days? American Barbershop is also sold out. Every time I find something I like, I can never get my hands on it. (Stomps feet in a petulant frenzy). It seems every time I get interested in purchasing a soap I always look for the aftershave to go with it. Unfortunately I can never time it right to be able to get a matching splash. I'm sure a lot of people just buy a soap, but I almost always like to get a matching aftershave regardless of artisan I'm buying from. I bought Bergamot & Bay last year and have diligently looked for the matching aftershave. Then when Sandalwood came back in stock I've kept checking for the aftershave to no avail. I saw Barbiere Sapone was recently added in Glide, but once again there is no matching aftershave. I'm not sure about others, but I would love to buy your product in sets as opposed to not buying anything at all. I hope this didn't come off as snarky, because that's not my intent. I like buying things and would like CRSW to get some of my money. (04-13-2019, 06:46 AM)ddk13 Wrote: It seems every time I get interested in purchasing a soap I always look for the aftershave to go with it. Unfortunately I can never time it right to be able to get a matching splash. I'm sure a lot of people just buy a soap, but I almost always like to get a matching aftershave regardless of artisan I'm buying from. I bought Bergamot & Bay last year and have diligently looked for the matching aftershave. Then when Sandalwood came back in stock I've kept checking for the aftershave to no avail. 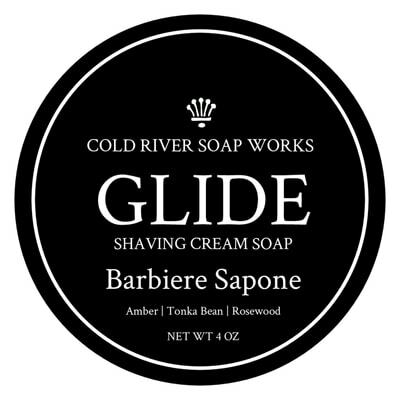 I saw Barbiere Sapone was recently added in Glide, but once again there is no matching aftershave. I'm not sure about others, but I would love to buy your product in sets as opposed to not buying anything at all. We offer matching Aftershave Splashes for GLIDE only and you will now find these in stock and ready to ship. I was waiting on the reducers which arrived yesterday morning. (04-13-2019, 06:27 AM)MntnMan62 Wrote: I just went to the CRSW site and the Schapenmelk is still showing as sold out. Did it really sell out in 12 days? American Barbershop is also sold out. Every time I find something I like, I can never get my hands on it. (Stomps feet in a petulant frenzy). 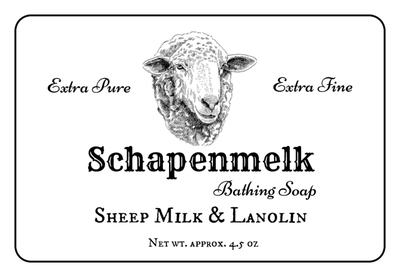 Yes, Schapenmelk sells out incredibly quick. My suggestion is to buy it if you see it and that goes for all of our products. If you miss it or are not able to purchase at the time an item is available, don't worry, I will make more. Also you can always email me to inquire about ETA's on certain products, that will get you the most accurate response. (04-01-2019, 01:42 PM)TheLegalRazor Wrote: That's good news Larry. I ordered a backup, as this soap is excellent. Now I need some of the matching bath soaps, which are also excellent. Thank you Ricardo for saying so! Glad you like them. (04-13-2019, 08:53 AM)ColdRiverSoap Wrote: We offer matching Aftershave Splashes for GLIDE only and you will now find these in stock and ready to ship. I was waiting on the reducers which arrived yesterday morning. Thanks for the update Larry! Thanks for the heads up. Snagged a couple shaving and bath soaps!